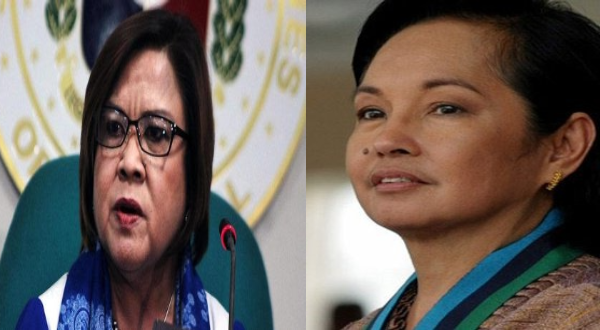 The Department of Justice Secretary during the administration of Benigno Simeon Aquino III and current Senator Leila De Lima has set her mouth on full yakking in front of the media when in reality she should learn from the late Chief Justice Renato Corona and former president Gloria Macapagal-Arroyo when it comes to maintaining composure. De Lima has never appeared to be a woman who is of grace despite being under pressure. She has been irresponsibly doing her job, case-and-point, Bilibid and New Bilibid prison, penal facilities that have turned into a drug den. The senator apparently loves the spotlight, playing victim against cases and allegations against her, dramatizing the effect of her “persecution”, all while trying to grab the sympathy of the public. De Lima treats her job and politics as a prime-time TV show. Demonizing characters to her convenience while putting on the mask of pity, De Lima has been the opposite of the former president when it comes to dealing with situations like this, Arroyo puts her dignity first above all while Corona on the other hand mans-up towards his mistakes. Little can be done with De Lima for “you can’t teach an old dog new tricks”. But perhaps this uncivilty and unprofessionalism may be due to the lack thereof breeding of the senator.